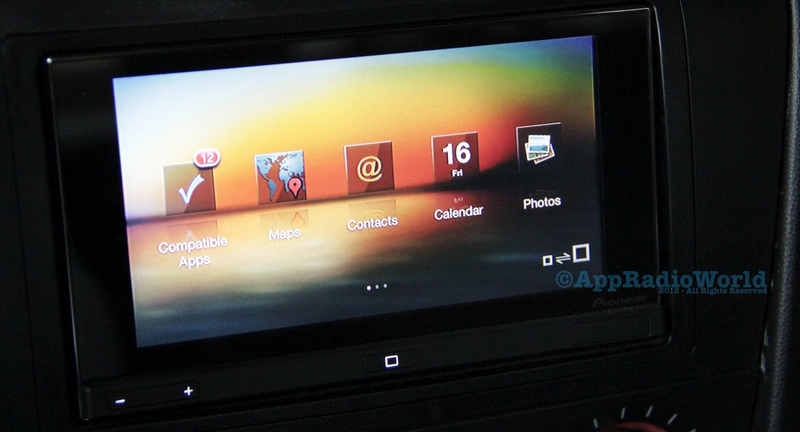 The first generation AppRadio was introduced almost a year ago with the model number SPH-DA01. And then another model number was added earlier this year (SPH-DA02). It was long believed that there was no hardware difference between the two. Today, however, there are two different updates available for each model number. Version 2.56 for SPH-DA01 and version 4.14 for SPH-DA02. The two updates have a couple of differences. Here are more details from Pioneer's website. The update, like the previous one, is divided into two files which have to be downloaded onto two microSD cards. The Boot File needs to be loaded first followed by the Firmware file. Some users have suggested using just one microSD card and carrying out the update in the same sequence, one at a time. From here, each file has to be updated in the order seen. The AppRadio will reboot between each update. When all three updates are done the process is complete and the AppRadio should be ready to use. I suggest updating your AppRadio based on the model number mentioned on the front of your device even though it's difficult to determine what the difference in hardware is between the two models. They are both first generation devices. SPH-DA02 was just added earlier this year. The updates are applicable to units sold in the US and Canada only. For your own country, please visit the corresponding Pioneer website. Can someone post the way to understand the difference between a SPH-DA01 and an SPH-DA02? Mine wad purchased end of March so I'm assuming it's a DA01. The model number should be present on the button bar. I think the home key on the DA01 and DA02 is different. Either 1 square in case of DA01 and 4 of them in case of DA02. Damn , no update for the German version. Home screnn show the wrong date! Does anyone now why those updates are for us and canada only?? Don't they work on Europeaan units? Has anyone had a problem updating the firmware to 4.14? 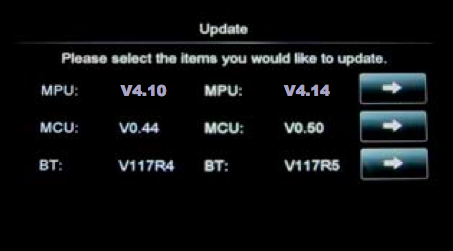 I'm currently on version 2.45 and the unit only updates the MCU and BT files. The does not recongize the update of the MPU file. Tried the file several times. Will this work with an Android phone?